I am a big fan of Coca-Cola. When it comes to ranking colas I go: Coke > RC Cola > Store-Brand Cola > Motor Oil >Pepsi, in the order I'd be willing to drink those. I'm not super-picky or weird about Coke having flavors either. 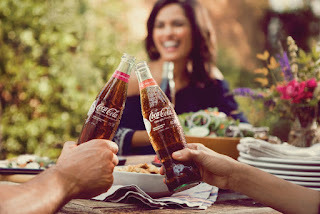 I have a great fondness for Cherry Coke, enjoy a Vanilla Coke now-and-then, don't really like Diet Coke but can drink it, and quite miss the old coffee-flavored Coke known as, "Blak," that existed once upon a time. 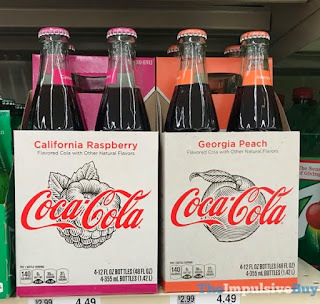 Clearly I'm not a purist when it comes to Coke flavors, but Lord help me these new, "Georgia Peach," and, "California Raspberry," flavors are grotesque excuses for soft drinks. 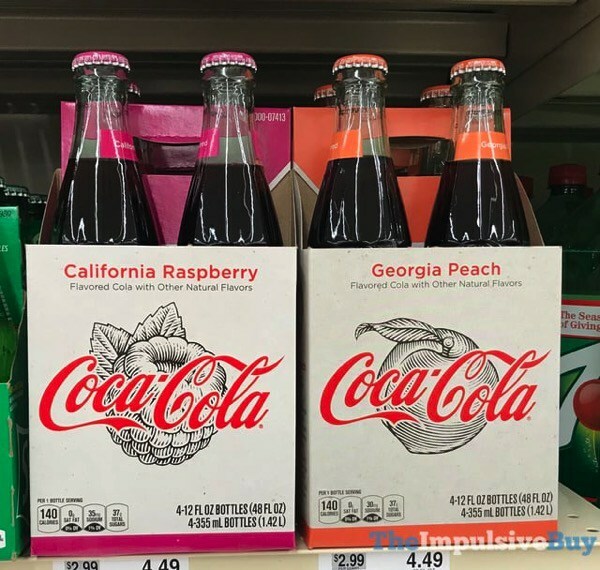 They taste more artificial than you could imagine, with the overpowering punch-in-the face of peach being just as miserable as the cloying pseudo cough-syrup zing of Raspberry that sticks in your mouth like an unwelcome visitor. They are both nasty, but I think peach is just a little bit worse as it is so overpowering in its nastiness, while raspberry sneaks-up on you more with the grossness. Not pictured: how they all retched after drinking these. I'm not sure if it's just me as I've seen some pretty positive reviews for these new flavors. I think these are absolutely wretched however and will stick with the flavors I know I love as opposed to these poor excuses for refreshments. I just hope someday we get a Coca-Cola mixed with orange juice as I already love manually making that and how good it tastes--it even has an official drink-name, going by the moniker of"Muddy Water." Eventually we'll get that, I hope.